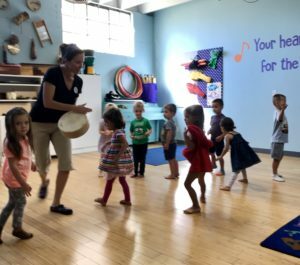 Have you noticed that our Kindermusik classes always start and end the same way? 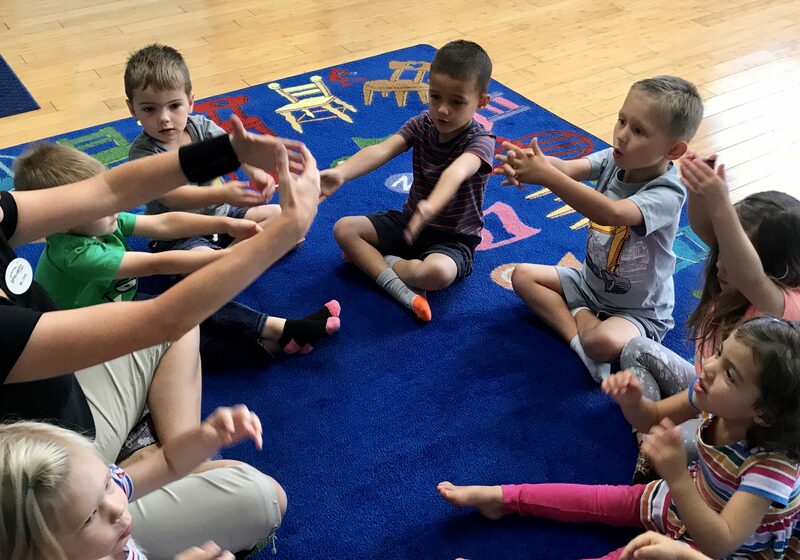 Even sprinkled throughout the class are little rituals and cues that give your child an expectation of what to do next. This is intentional. You’ll find these routines consistent from class to class, with creative variations between educators and level. We carefully craft these routines not just for fun, but to enhance learning and social cooperation. Childhood is growth. And by very definition that means children experience change on a near-constant basis. Change is unsettling and can be hard for children to cope with. That’s why routines are so crucial. Routines have been shown to give children a sense of security and safety. It helps them know what to expect next and how to behave in certain circumstances. It sets them within a frame of predictability and comfort in which they can then explore, learn, play, and discover. Structure teaches children how to control themselves and their environment. It facilitates constructive habits and life skills. From brushing their teeth, to feeding themselves, to cleaning up after themselves, routines make all these lessons easier to learn. 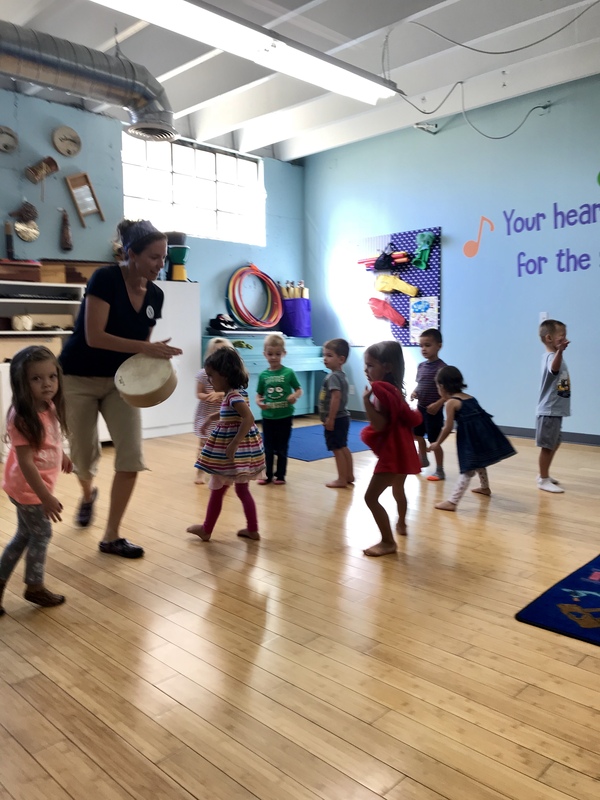 In Kindermusik we have routines to wake up our brains and bodies, to focus attention, to add cohesion to the group, to foster cooperation, and to signal to you and your child that this is a place that is predictably joyful. With routines in place and expectations set, connection and growth will follow. Try adopting one of our little routines at home, or develop your own, and see if it helps make a bumpy part of your day a little smoother. We’d love to hear about it!